Online photo service Photobox announced earlier this week that it had acquired greetings card retailer Moonpig.com in a deal worth £120m. We’ve been asking CEO Stan Laurent about the thinking behind the deal, how the company will now be structured, and plans for future growth. Why did you decide to acquire Moonpig? Bringing our two companies together – and that’s very much how our teams view this transaction, as a merger and not an acquisition – is something that Nick and I have spoken about a number of times over the past few years. On those occasions the timing just wasn’t quite right. But now, today, we feel strongly that it is. What you have here are two successful, visible and profitable brands, both have exciting futures ahead of them. Our view is that we can get at and realise those opportunities much better, much more quickly and – ultimately – more effectively if we run them together. That’s the big idea behind our coming together. Why do you think Moonpig is a good fit for Photobox? It’s the complementarity of the two brands, the two customer bases and the two product offerings here that makes this a good fit. The two brands are leaders in their fields and those two fields fit very well together. Be it photobooks or cards, the central idea that drives a consumer to purchase one of our products is the desire to personalise a special memory or event in some way. This “personalised publishing” trend, as we call it, mirrors very closely what we see right now in the social media space where more and more people are choosing to share their lives online. They want to share. They want to personalise that moment. And, we believe, they are increasingly looking to personalise the physical products that they share with family and friends to mark important milestones. If you take that trend and apply it to our combined business, the fit becomes clear. 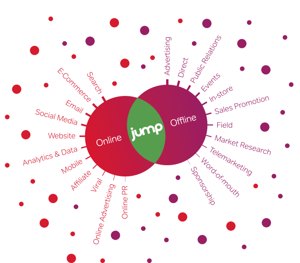 Together, we have just over 6m active customers with very little overlap between the customer bases of the two brands. There is a significant opportunity to cross-sell products across these two bases and in to new markets. Scale is also a big factor here. Our increased scale will help us manufacture products more effectively and to ever higher quality standards. That’s key to success in our space. These are important memories that our customers are marking and they want the quality of the products they select to live up to the importance of the occasion. How much is the deal worth? How is it structured? The deal value here is £120m and that amount is being funded in a number of different ways. The largest part is equity. First, Moonpig founder Nick Jenkins and other Moonpig shareholders have rolled forward a portion of the shares they held in Moonpig in to our new, larger company. That’s important. As I’ve said, this really is much more of a merger than an acquisition as the two teams are staying with the business to drive it forward. Secondly, we’ve raised new equity from some of the existing venture capital funds that have invested in Photobox, including Highland, Index Ventures and Harbourvest, as well as bringing new VC partners on board such as Insight Ventures, Quilvest Ventures and Greenspring Associates. There is also an element of debt here, approximately £50m, which we have taken on with the support of Barclays Bank plc and RBS. What will happen to the existing staff and management structures at the two companies? Our two teams are staying with the business and pushing ahead with the opportunity and, importantly, both brands are going to continue to operate. I will lead the new, larger group as CEO; Iain Martin will serve as Managing Director of Moonpig.com; and Nick Jenkins, who got the whole idea for Moonpig.com off the ground, stays with us as an adviser to the Board of Directors. This isn’t one of those deals where you hear people talking about synergies and savings. This is about a big opportunity that both our teams are going to invest in and work towards. Will you be looking to make any further acquisitions or to expand beyond Europe? It’s early days to talk about “what next” – I think we’re all very focused on making this merger work for the time being! That’s where our energies will lie for now, but I don’t deny that this is an exciting marketplace to be operating in. Remember, also, that Moonpig has a successful footprint in Australia and so we’re already operating outside of the European arena. How do you expect this market to develop over the next few years? I think that there is clearly a lot of opportunity here for growth – both in market terms and in terms of the range of products we are able to offer. Look first at the market and remember that only 4% of the £1bn UK greetings card market is currently serviced online. We feel strongly that the shift here towards online will continue. The photo market is further down the online track, with 30% currently serviced online, but the scope for a further shift there is also clear. The challenge for us is to accelerate each other’s growth, developing platforms and products that accelerate the online shift and our increase share of that shift as it takes place. If something isn’t content-driven, then what is it? Fluff-driven? Waste-of-time-driven? Tricky-dicky-driven? I’d go as far as to say ‘content-driven online marketing’ is some sort of mega-tautology. COMPETITION: What is your biggest joined-up marketing challenge? Nine out of 10 companies understand the importance of creating a joined up customer experience, which delights patrons and helps staff to maintain high standards. That statistic comes from some research we did in association with Foviance last November. So how many of our 500+ survey respondents said they had achieved such a high level of integration? A mere 20 of them: just 4%. As such it is patently clear that there is a huge gap between where companies want to be, versus where they’re at. Below, I have listed a few common hurdles in joining up business activities across channels. We’d especially love to hear about your own challenges. In fact we want to hear about them so much that we’ve created a £5,000+ prize package, which one lucky tweeter will win. See the bottom of this post for details on how to enter our competition. So what are some of the biggest challenges in joining things up…? From the largest of brands to the mom-and-pop store down the street, it seems like every business is setting up a social media presence of some type. And for good reason: everywhere you look, somebody is extolling the virtues of social media and what it can do for businesses. But social media, like most channels, has its limitations.